Prime Minister Netanyahu dropped a bomb when he shared a treasure trove of proof that Iran is still working on producing its own bombs, presumably to be used against Israel and perhaps, the world. Naturally, Europe scrambled to deny the truth of what Netanyahu exposed. Because they stand to lose out big time on their lucrative contracts with Iranian actors. So they’re going to say the Jew lied. 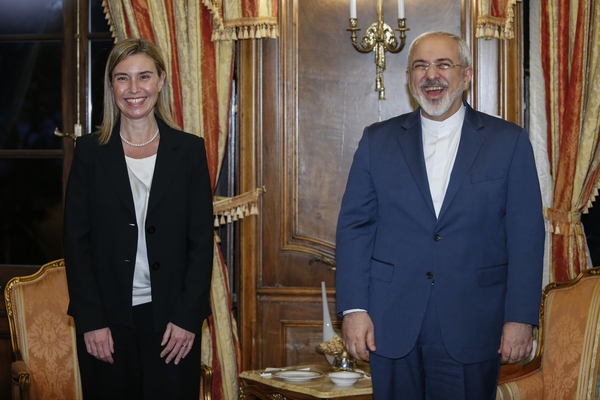 Which was pretty much the playbook for EU High Representative of for Foreign Affairs Frederica Mogherini when she basically said yeah, but Bibi didn’t say Iran was not in compliance with the deal. Hello: that’s exactly what he said one hundred different ways. But Europe wants those lucrative money deals, so it will bury its head in the sand until Iran buries all their heads in the sand.